Brogini Zip Front Short Jodhpur Boots - Black. The Brogini zip front short jodhpur boot is very stylish, combining ease of use with modern style; the zip front is perfect for those riders with a high instep, or wanting a short riding boot that is easy to put on and take off. 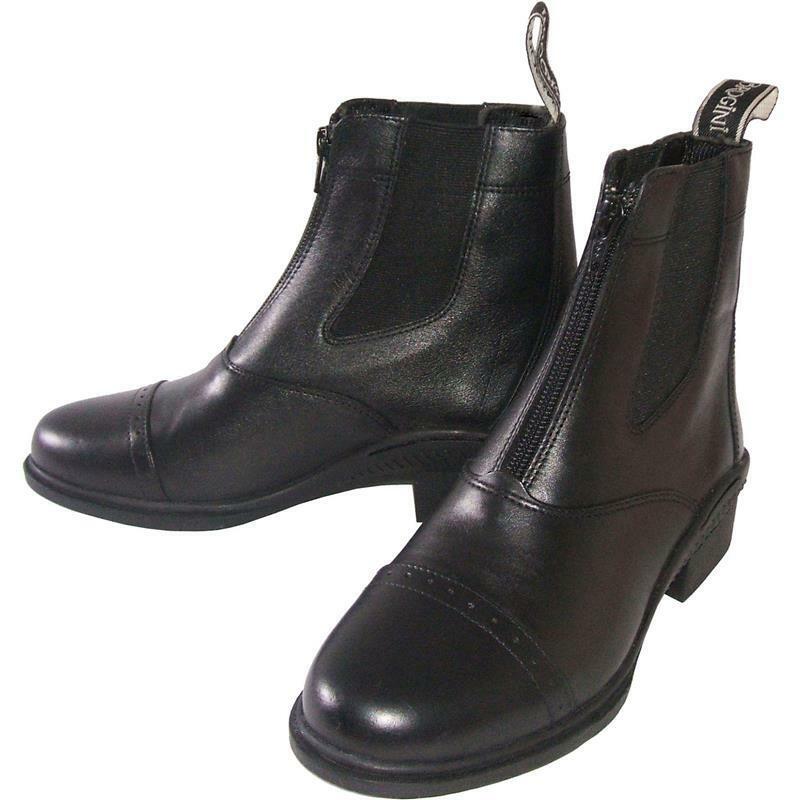 This particular horse riding boot features a rubber sole and stitched toe cap.